Tips for developing story writing ideas. Short stories, flash fiction, novels, and novellas: there are countless stories floating around out there — and those are just the fictional works. It’s no wonder writers get frustrated trying to come up with a simple concept for a story. One look at the market tells you that everything has been done. But what makes a story special is your voice and the unique way that you put different elements together. Sure, there might be something reminiscent of Tolkien in your work, but so what? Echos of Lord of the Rings can be found in some of the most beloved stories of the 20th century: Harry Potter and Star Wars, for example. I’m not saying J.K. Rowling and George Lucas intentionally used elements of Tolkien’s work in their stories. Maybe they did; maybe they didn’t. But I would bet both of them read and appreciated Lord of the Rings. Whether they were conscious or not of its influence on their work doesn’t really matter. There are countless ways to develop story concepts. You can start with an event from the news or a character you’ve created; you can base your plot on an old legend or fairy tale; or you can combine two of your favorite genres. What happens when you mix Hamlet with Star Trek? Well, you might get something that looks like Star Wars. Take a traditional legend or folk tale and send it to space or place it in a magical fairyland to give it a new twist. It works both ways. You can take a modern story and put it in a historical setting. Star Trek is about explorers who are deeply humanitarian. Could there have been such explorers on Earth thousands of years ago? If you can create a believable and complex character, you can evolve a story from the character’s emotional landscape and personal experiences. A romance horror story, a western set in space, a chick-lit war story, and a fairy tale about the business world are all ways you can combine genres to inspire writing ideas. Instead of starting with a story, start with a big idea. How do you explore abstract concepts like sacrifice, redemption, rebirth, and wrath through story? Sometimes by brainstorming established genres, stories, and themes, you’ll find that an original idea emerges. Let’s say you’re writing a story about a homeless teen who squats in a family’s Manhattan apartment during the day while they’re at work and school. It occurs to you that there are some parallels to Goldilocks and the Three Bears. Instead of writing off your idea as unoriginal, use the fairy tale to infuse your story with archetypes and symbols that are universally recognized: three teddy bears on the child’s bed, three chairs of various sizes in the living room, the family eating porridge for breakfast. Little Red Riding Hood in Suburbia: There’s a stranger at grandma’s house. Goldilocks and the Three Bears in the Big City: A squatter makes herself at home. The Gingerbread Phone: A smartphone becomes self-aware. Dystopian Cinderella: This fairy tale been done and redone. Cinderella is apparently an exhaustive source of story writing ideas. Set your version in a bleak future. The Little Badass Mermaid: Take any old fairy tale and turn the heroine into a badass. Beauty is the Beast – What if the gender roles were reversed? Our world is full of patterns and cycles that repeat infinitely. 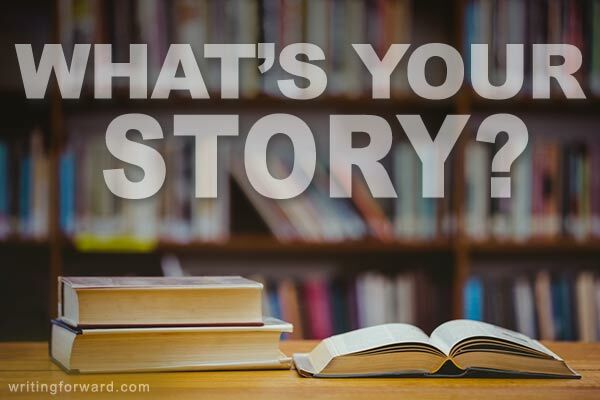 Every story you write comes from every story you’ve read. Some writers consciously use old tales as a foundation for their work; others are surprised when they realize there are blatant similarities in their work and someone else’s. I’m not suggesting you go out in search of stories to rewrite (and I’m definitely not suggesting you avoid coming up with your own original ideas). I hear from writers, on a regular basis, who are frustrated because they analyze every detail in their stories and stress out when they realize certain elements already occurred elsewhere in the literary canon. So I want to put forth the simple truth that everything has been done. Your job is to do it your way. Where do you get your story writing ideas? In the end it involved sisters, Indian magic and fighting for the right to live your own life. That is so cool. I love to hear how writers were inspired, especially with stories as specific as yours. When we talk about what inspires us, our creative friends and peers realize where they can find ideas, too. Good post! I think ideas come from all sorts of resources, I often used wordword.com to spring board from, I have written a few flash fictions that originated from the oneword exercise. Fairytales I love writing fractured fairtales, today I have rewritten Cinderella as a 3 part serial – If the Shoe Fits on my blog, and flash fictions for Little Red Riding Hood simply titled RED and the Three Little Pigs titled A Curly Tale. Another resource for writing stories that works for me is a visual one, often a picture, painting photo will capture my imagination enough for me to write a story from it. Thanks for your post, loved reading it. I tried to visit wordword.com but nothing happened. Maybe the site is down right now. I love new takes on old fairy tales. The TV show Once Upon a Time is doing a fantastic job re-imagining a host of fairy tales in a single narrative (I highly recommend that show). I get most of my ideas from visual cues too — at least the ideas that turn into actual scenes. Thanks so much for you kind words. Oh! I love that site. I posted about it here on Writing Forward years ago. I presented it as an exercise: How to Make More Time for Creative Writing. As the writer/editor/digital publisher of more than 100 short stories and flash fiction pieces, I thought I’d share a few more words of wisdom, expanding on your great list. Over my short story writing career, the concept of “juxtaposition” has proven itself invaluable. Taking something familiar and twisting it into something altogether new. Placing polar opposites or moral conflictors in my stories has often been used to great effect. Like some of your other commentors, I take my cues from my surroundings. A good road trip or an hour spent people-watching in a public place are often all I need to trigger a new story theme. Be an ACTIVE listener and learn how to get your mind quieted down to the point where you can hear your muse whispering in your ear. I also draw many of my story ideas from classical literature, including the Bible. Universal themes. Mythology. The Seven Deadly Sins. Rivalries. Good over Evil. Things like that. I am also a big fan of independent cinema and foreign-language films. Lots of great ideas being done there will trigger yet more new ways of telling a great new story. I also do a lot of ongoing research about what is selling well, new breakout writers/themes, social trends, scientific research, new inventions, etc. And finally, if you want to write great stories, you have to read and study the Masters: Alice Munro, Sherman Alexie, F. Scott Fitzgerald, Raymond Carver and the rest. I guess as a partting shot, I will offer this advice: give yourself permission to write what no one else has ever written and then be brave enough to self-publish it to let the READERS decide if it is good or not. 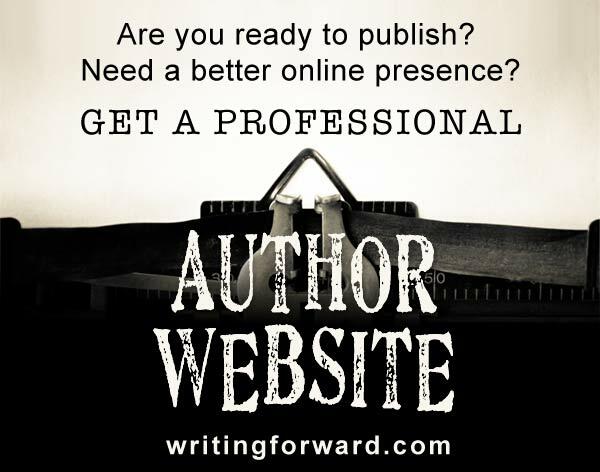 Gone are the days of trying to please countless gatekeepers at the traditional publishing houses. Go to my website and see firsthand what I mean. Keep up your great work here, Melissa! I agree with you about the gatekeepers. It’s not that I have a problem with them; but I want an alternative avenue for writers who slip through their cracks. Ever since I heard about how many times Harry Potter was rejected, I’ve been concerned that big publishing had created a tight funnel that was very difficult to get through. In some respects, the gatekeepers have kept the market tidy and ensured that published books are of a certain caliber. On the other hand, it’s obvious that plenty of authors aren’t making it through the gates, and not because their work lacks quality. I imagine rejections occurring because an editor is having a bad day, just accepted a similar book, is making decisions on personal taste, is too focused on the market, etc. It seems like there are a lot of ways for a great book to get rejected in that model. So I’m thrilled about innovations in technology that allow writers to put their work out there so the readers can decide. It’s all about creating opportunity and access for everyone (something I support wholeheartedly). I’m not saying I want the gatekeepers to go away, as I believe they do provide value. However, I think they need to adjust their business model to fit within the new system. Hopefully they will. This post blew my mind! This reminded me of a weird idea I came up with (for a song) way before I even started writing fiction: Little Red Robyn Hood. It was just a title for lyrics that were going to be a metaphoric depiction of a woman aiming their love arrow at my heart or something lame like that. Using the Robinhood side of it…I had no idea how to incorperate that so I just gave up on the song completely. But thanks to this post, I think I’m gonna do some short story writing tonight! Also to answer the blog question; I draw a lot of inspiration from video games. Even though a lot of them nowadays are story driven, there are some that have had promising premises, but had poorly written scripts. What I like to do is twist the ideas around and make it work in the way I would have preferred. There are also some video games that are just plain out video games with no moral or narrative context, like for instance an online role playing game called Ragnarok. It’s a medieval profession based game where you can choose to become either a Thief or Merchant (among many others but lets keep this short), and each starting profession branches out into two other jobs. So a thief can be promoted to become either an Assassin or a Rogue, while a Merchant can become an Alchemist or Blacksmith. Inspired by the game’s fantastical world, coupled with my obsession to add narrative context to things that don’t have them otherwise, I’ve created a character driven medieval fiction. It stars a boy who is kidnapped by an Assassin Guild after they kill his Merchant father over an ancient relic. Once he’s living at the guild, his mentor is an Alchemist who not only teaches him in the ways of poison, but also acts as a surrogate mother throughout his childhood. As for the Blacksmith reference…well simply put, he’s the dude who forges his weaponry. Thanks for an exilerating post, it has rejuvinated my creative energy! I love that you get ideas from video games. That’s awesome. It just goes to show that inspiration is everywhere — sometimes in the least expected places! “A western set in space” – that’s Firefly! Awesome sci-fi show, I highly recommend it 🙂 It grabs you right in the pilot, its plot twists are unpredictable and characters are just irresistible 🙂 I’m not a big fan of westerns, but this show is amazing. Cows in space, can you imagine? I’ve seen a few episodes of Firefly, and I’m a Nathan Fillion fan (LOST, Castle). I really need to finish watching Firefly one of these days — thanks for the reminder! I based an entire story off ‘The Gingerbread Man.’ It’s a murder story with a teenage protagonist. I got the idea after a friend of mine recited, “Run, run, as fast as you can. You can’t catch me, I’m the Gingerbread Man…” in a creepy tone of voice. Mix that with a Criminal Minds marathon, and I couldn’t help myself. It just goes to show that you can find inspiration in anything. I read that Suzanne Collins got her idea for the Hunger Games by flipping channels back and forth between a reality talent competition and coverage of the war in Iraq. Mixing seemingly unrelated ideas is a great way to come up with an original and compelling premise for a story. You’re definitely on the right track! I can never stay with one idea. I currently have a story I’m working on with 8 chapters, but now I’m at a standstill. I know what I want to happen next, but I don’t know how to do it. If you know what happens next, just write it. Allow yourself to write it badly. You can always clean it up later. I’m working on a novel now and I often run into this. Sometimes I just summarize what needs to happen, then I can move on and come back to the problem areas later to work out the kinks. Originality is a myth. Creative expression is not. When we lend our distinctive colors and flavors to a done-to-death tale, you will still create something beautiful and bountiful! OOH – just wanted to add that while ideas are a dime a dozen, we are each one in a million. I guess we need to honor our journeys and quirks to create something intriguing out of something old. This is just fabulous! I’m taking a fiction writing class in the fall (I’m a lit major) and have been already fretting over what to write about. 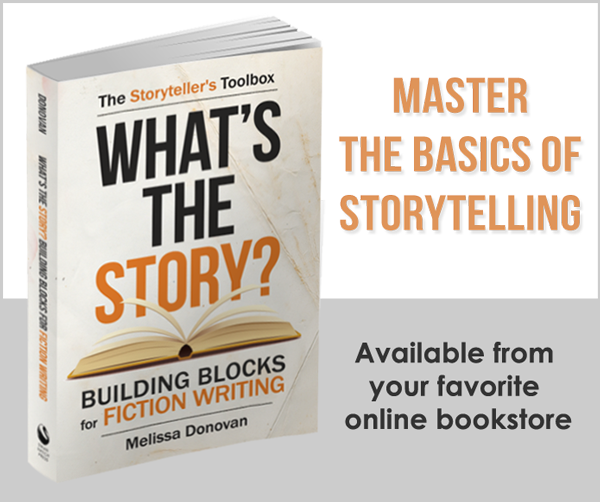 You can also look for story starters and fiction prompts. There are plenty here on Writing Forward. Enjoy your class this fall!